In the past years I switched through so many music players like Audacious, Exaile, Amarok, Banshee, Listen, Songbird etc. and finally ended up using the default player, Rhythmbox. Why? I'll briefly explain. Audacious: winamp-esque interface and music management, it just screams 1999. Exaile: weird disposition of the music as a side column, doesn't update the music library very well. Amarok: huge load time because of its huge kde dependencies, messy interface. Banshee: a little slower than Rhythmbox and not much of an improvement either. Listen: the column in the middle does not do it for me, the disposition is weird. Songbird: it is very slow, has no support for Linux anymore, crashes frequently, even tough I loved the interface, the plugins and the cover browser. Finally I realized that even though Rhythmbox is not the best among these players in many ways, it is light, well integrated with ubuntu and does the basic requirements perfectly well. 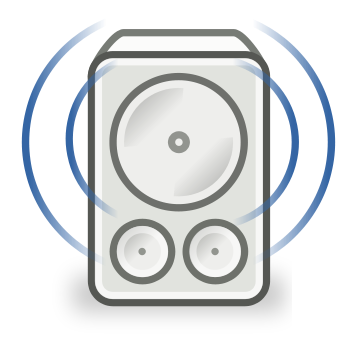 On the other hand, the player is too simplified, lacks highly required features like a cover browser, has an interface that is lacking a rational control space management and intuitive gestures. The main interface puts control on the top, which is fine, and leaves a huge space right next to them. Also, the main buttons are not pleasing, I would say they are ugly as all standard gnome buttons. The interface leaves a huge space right next to the main buttons. And the buttons to the left of the search field are not intuitive, do they refer to the music catalog view below or the search function to the left? The play/pause button next to the song (bottom part) has a very weird behavior, if you click nothing happens, if you double click it plays the song from beginning, regardless if the song was paused or playing. When a song is playing it shows right below the buttons, the bar is extended and the name is written in standard characters. Why can't I click on the song and go to the played song in the catalog? The only way to do that is click View - Go to song...no need to comment on that. 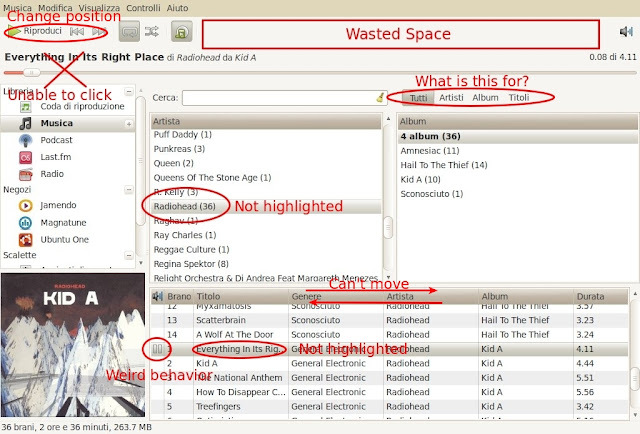 In the music collection, the way the main artist, album and song are highlighted is not so user friendly in my opinion. It is really difficult to immediately recognize which song is playing in the vast amount of greyness that is the main Ubuntu theme. The bottom part of the music catalog doesn't let me relocate the columns. Designers somehow decided that the title and genre is more important than artist and album and have to come first. 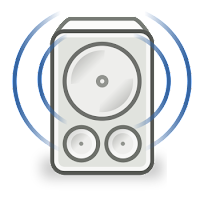 As for plugins are concerned, Rhythmbox lacks a working (i'm not joking, it does not exist) album cover browser like all users of iTunes, Windows media player and Songbird users have enjoyed for quite long. Not even a simple, non 3d, non animated, pure catch the cover and put them on a row system exists for our poor Rhythmbox. For the main buttons, previous-play/pause-next works better. There is NO need in 2010 to explain that the triangle is actually “play”. Move the search bar on top to the right of the main buttons. This way the 3 functions will be clearly attributed to the search field. A click on the play button left of the song (bottom part) should pause the song, if it was paused it should start it again, a double click always plays the song from beginning. Allow to select the song and go directly to it in the catalog. Highlight artist – album – song in their respective rectangles. Let user relocate the columns in the bottom of the screen. Implement a way to browse album by cover. I'm not a programmer and I don't know how difficult it is to implement some of these changes, but honestly if it is SO difficult to code a very basic relocation of buttons for a program then I guess the library that are being used are not so useful after all. Looking at the proposed changes for the next version of Rhythmbox, one could see that maintainers have completely forgotten that the application have to keep up with the evolution of interface design and also the ever changing user needs. I'm all for bug removal, but for a program that is very (very) stable but lacks a lot of features that are considered basic, isn't it time for a little experimentation? Thank you for the patience and hopefully someone will read this and give it a thought. The article was contributed by Tech Drive-in reader Achille “Lele” Canfora. You can get in touch with him through his email: lele83x[at]gmail[dot]com. If you want to send us a suggestion or tip or even better an article itself, simply use our Contact Us page.